Florida tourism is on track for yet another record year of arrivals, although international arrivals were flat. While the Red Tide bloom continues to impact many communities reliant on tourism, the first half of the year showed arrivals were up nearly 6% on last year. 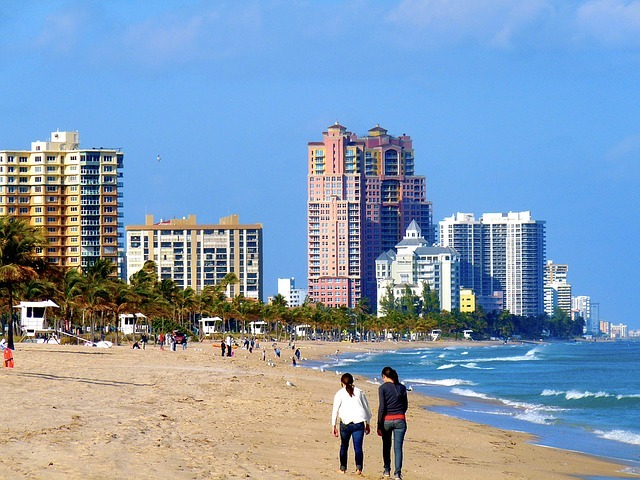 Preliminary figures show an estimated 65.5 million came to the Sunshine State from January-June this year. "If we have that sort of growth for the rest of the year, we're going to have 125 million tourists," Gov. Rick Scott said. Domestic visitation was up more than 7% in the first six months but international arrivals were flat compared to the same period last year. "Every 65 to 75 tourists is another Florida job," the Governor added. Tourism accounts for 1.26 million jobs in the state as of July, according to data published by the Department of Economic Opportunity. Visit Florida president and CEO Ken Lawson lauded the 'cutting edge marketing programs that highlight the diversity of our state' and no let-up in aggressively marketing tourism in both established and emerging markets. Last month Florida announced special marketing funds for Collier, Lee, Charlotte, Sarasota, Manatee, Hillsborough and Pinellas counties, which are suffering as visitors stay away amid the prolonged outbreak of Red Tide.